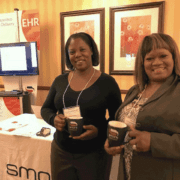 Conference Archives - SMART Management, Inc.
October 2017 – SMART recently showcased our electronic health record system to opioid treatment providers in Texas. The USAOTP 2017 Conference in Austin brought together opioid treatment providers for two days of networking and educational sessions. A few topics of discussion included current regulations, ethics, Medicaid and other funding, Methadone treatment issues, and the history of addiction. Attendees were excited to share and learn best practices through networking. 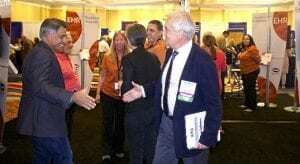 SMART Associates value the chance to spend face-to-face time with conference attendees. Further, the expressed needs of the opioid addiction treatment field directly impact the evolution of SMART’s EHR. Helping providers deliver the best in class patient care is what drives the functionalities we build into our opioid treatment EHR. 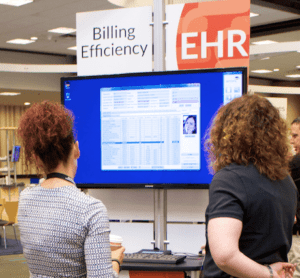 The carefully designed features of our EHR can help to implement efficiencies across treatment organizations. 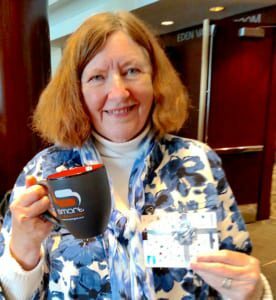 The AATOD 2016 Conference recently adjourned at the Marriott Waterfront in Baltimore, MD. Organizers reported record attendance at this year’s conference. As a result, attendees, presenters, and exhibitors enjoyed networking with more opioid treatment professionals than ever before. SMART Associates were excited for the chance to spend face-to-face time with customers from across the country and to meet new attendees. The conference theme, “Saving Lives: Access to Improved Health and Recovery,” shined a light on new strategies for strengthening behavioral healthcare. Related learning and networking sessions spanned all five days of this outstanding conference. Treatment professionals had the opportunity to learn more about co-occurring disorders, opioid overdose prevention and a variety of other current issues. Moreover, this year’s event featured a forward-thinking workshop, “The New Day Campaign: Where Stigma Ends, Healing Begins.” This promoted other healing paths to ending the stigma associated with substance use disorder. The workshop showcased poetry, music, painting, and other art forms. 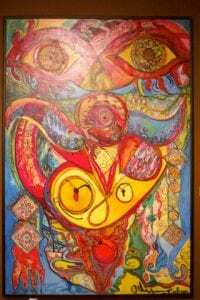 These were examples of how art can not only aid in the recovery process, but also can serve as a way to bring about understanding and end stigma. In line with years past, Clinical Science, Vista Pharm and SMART Management, Inc. hosted another exciting customer appreciation party. 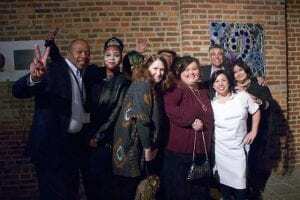 Customers ascended upon the American Visionary Arts Museum Halloween night for an evening of art appreciation, dinner and surprises! Guests enjoyed touring the multi-floor visionary museum leisurely throughout the evening. Finally, the night concluded with a grand raffle drawing. This included an Apple Watch, FitBit, wireless bluetooth speaker, wireless travel charging station and even a Polaroid camera. This was a great opportunity for professionals to relax and enjoy informal networking in a fun atmosphere. 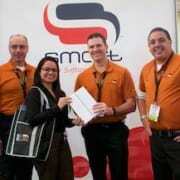 Team SMART congratulates this year’s booth gift giveaway winner Marcelly, Clinic Manager from Turning Point Clinic. Since 2003, this Baltimore-based clinic has been providing treatment and recovery services to individuals affected by addiction. Furthermore, it is there mission to bring about hope and healing, and to help create a path to move forward from the heroin epidemic. Thank you to all who participated in our gift give away! We look forward to seeing you at the next AATOD! Since 1984, AATOD has been encouraging and facilitating continuous improvement in behavioral healthcare. This association works with federal and state officials, Substance Abuse and Mental Health Services Administration. Additionally, they work with the World Federation for the Treatment of Opioid Dependence to improve treatment policies and international initiatives. SMART is pleased to announce our return as an exhibitor at the AATOD 2016 Conference in Baltimore, MD. Patient care is this year’s primary focus, “Saving Lives: Access to Improved Health & Recovery”. AATOD brings together thought leaders from across the nation to share their passion for patient care and recovery. As a result, this gathering yields invaluable industry knowledge rarely found all in one place. Learning more about the ever-changing needs of the opioid treatment industry draws us to this conference year after year. Also, we look forward to reuniting with our customers, as well as all treatment providers. 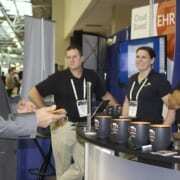 Our interactions with attendees directly impacts the evolution of our EHR. 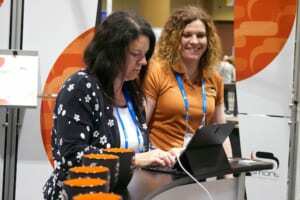 Last year we saw an influx in new attendees energized to share and learn best practices. This change undoubtedly correlates with the growing opioid epidemic. Our nation’s continuing recovery struggle is what influences continuous development of the SMART Solution. Helping providers deliver the best in class patient care is what drives the functionalities we build into our opioid treatment EHR. 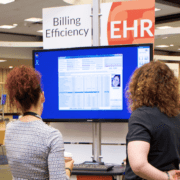 The carefully designed features of our EHR can help to implement efficiencies across treatment organizations. Please stop by booth #307, register to win this year’s gift give away and learn how our EHR can help you improve patient care. The American Association for the Treatment of Opioid Dependence holds this conference every eighteen months. This event brings together national and international opioid treatment professionals for 3 days of knowledge sharing. More specifically, attendees delve into evidence-based clinical practice, current research breakthroughs and organizational developments affecting the future of opioid addiction treatment. Also, AATOD works with federal and state agencies to develop guidelines for improving patient care in the substance abuse treatment field. Learn more and register for the conference. The National Council for Behavioral Healthcare (NatCon) ’16 Conference is March 7-9th at Caesar’s Palace in Las Vegas Nevada. This year’s program promotes a full schedule. Influential thinkers, industry leaders, and specialists are slotted to present invaluable information in a variety of educational sessions, workshops, and events. Visit us at booth #815 and register to win this year’s gift give-away. 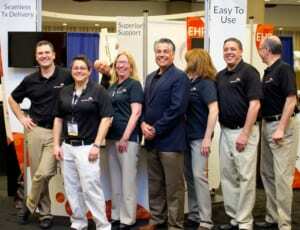 Our Software Team will be on hand to answer any questions you may have and to demonstrate the features in SMART’s EHR. We look forward to connecting with our current Partners and to building new relationships. 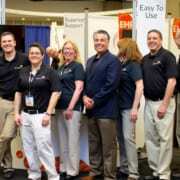 This was SMART’s first year as an exhibitor at the Association for Behavioral Healthcare (ABH) Conference in Waltham, MA. We were thrilled for the opportunity to meet with many of the attendees and learn more about their needs. The Awards Ceremony was a great way recognize leadership in community-based behavioral healthcare. Congratulations to award recipients Carolyn Droser of Community Healthlink, Colleen Sondrini-Cooper of The Brien Center, Eileen Maguire of Victory Programs, Minghui Johnson of South Shore Mental Health, Peter Paolantonio of Spectrum Health Systems, Inc, Melinda Kneeland of BAMSI, Scott Bock of Riverside Community Care, Lisa Goldsmith of Vinfen, and Lori Sustek of Youth Villages. 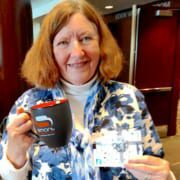 We would also like to recognize Betty Bredin, LICSW Program Director of Bay Cove Human Services and winner of SMART’s ABH Conference gift give away. 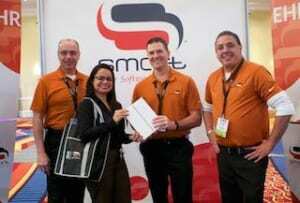 Thank you to everyone who stopped by SMART’s booth and we look forward to seeing you at next year’s conference. For over 30 years, the Association for Behavioral Healthcare has been the leading advocacy organization in Massachusetts’ mental health and addiction services arena. Fighting for high-quality, community-based care for families and individuals with mental illness, addiction and substance-use disorders, ABH provides leadership and statewide coordination on important public policy, financing, preferred clinical models and quality assurance issues. ABH is a statewide association representing over eighty community-based mental health and addiction treatment provider organizations. Our members are the primary providers of publicly-funded behavioral healthcare services in the Commonwealth, serving approximately 81,000 Massachusetts residents daily, 1.5 million residents annually, and employing over 46,500 people. We would like to congratulate Brian Jones Clinical Service Provider of Seven Hills Foundation and winner of SMART’s Providers Council Conference gift give-Away. 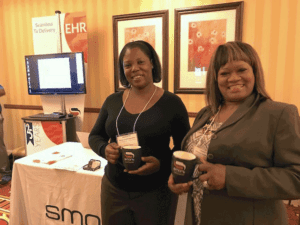 SMART would like to thank everyone who visited with us and we look forward to seeing you at Providers Council 2016. Seven Hills Foundation promotes and encourages the empowerment of people with significant challenges so that each may pursue their highest possible degree of personal well-being and independence. They offer programming at locations throughout Massachusetts and Rhode Island. The Foundation provides a continuum of support and services to children and adults with disabilities and life challenges, as well as, women and children in developing countries through our eleven affiliate organizations. For industry news, product updates and future contests like us on Facebook and Twitter! 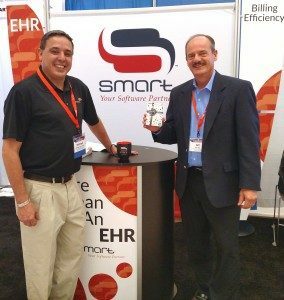 We would like to congratulate Bill Bly, Clinical Supervisor Horizon Village, and winner of SMART’s ASAP Conference gift give-away. SMART would like to thank everyone who participated. We look forward to seeing you at ASAP 2016. Our team is looking forward to meeting you at The National Conference on Addiction Disorders ( NCAD ) August 1-4th in St. Louis. 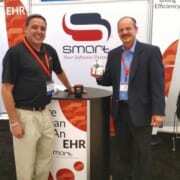 Take a tour of SMART and see why leading treatment providers have chosen our software for all of their EHR needs. 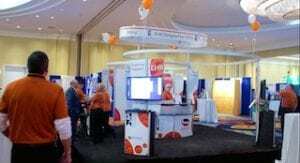 Stop by #301 to visit with our associates and register to win this year’s gift giveaway! We are a leader in supplying Certified Paperless Electronic Health Record and Clinic Management Software to organizations providing Behavioral Health, Substance Abuse and Mental Health Treatment Services. Our state-by-state customized software model allows your team to be efficient when processing and implementing billing and clinical documentation requirements.